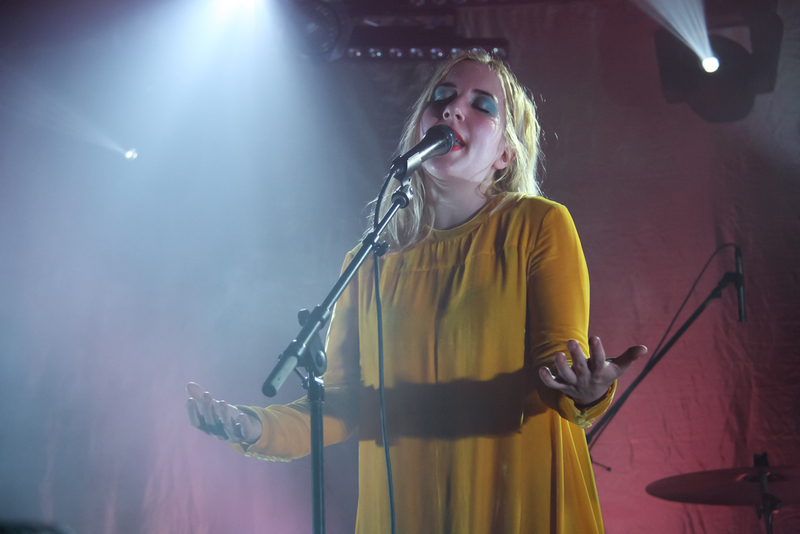 Austra saved me before the prospect of Prozac did, and saved me again when the Prozac failed, and when the next medication failed, and the next. At my most manic moments, I was buoyed by the opening notes of Feel It Break, Austra’s first studio album. 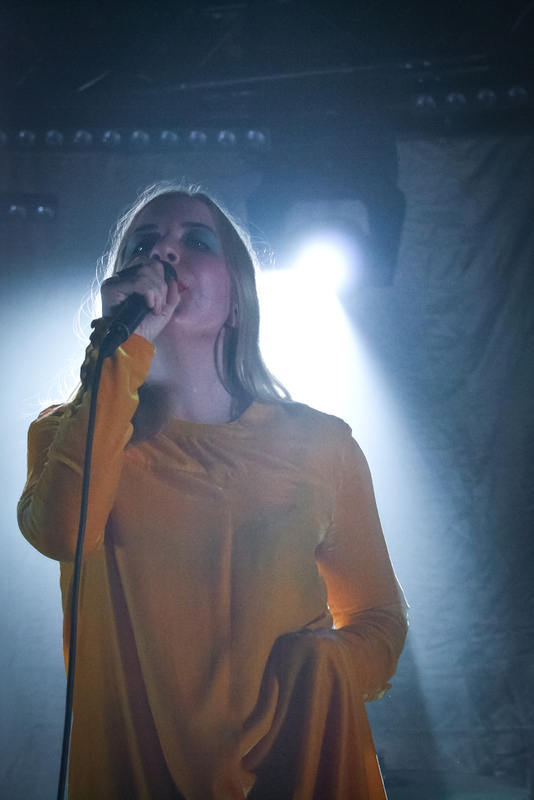 Drawn deeply into the folds of that album, I admired the intimacy of Austra’s lyrics, and the deep, booming bass notes that mark their sound. 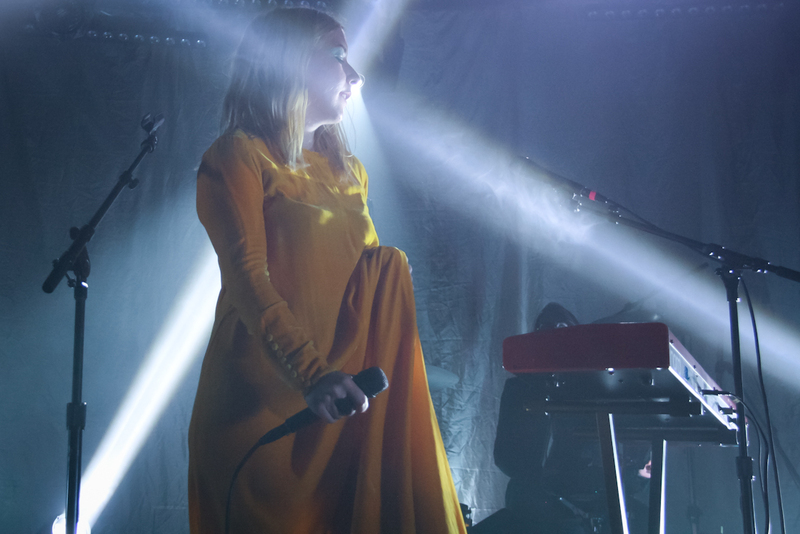 Onstage, those same qualities shine: Lead singer Katie Stelmanis appears to sing with a force beyond her body, striking in her vulnerability; and the low beats of Austra’s synths and keyboards are magnetic. As a poet, I’m fascinated by the prospective of using creative tools to influence how an audience engages with art. 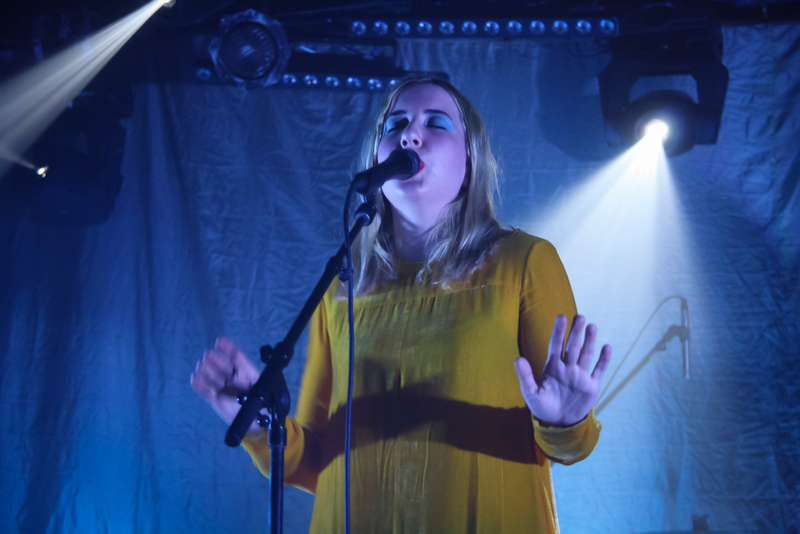 Austra have perfected the use of tone and pitch as such tools, and they wield them with devastating effect. 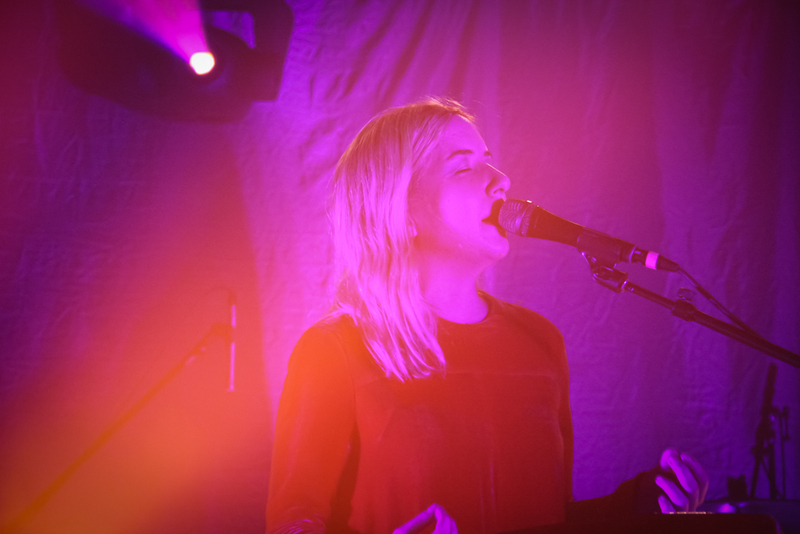 Austra was joined on Saturday by Nako, Chasms — an SF-based duo who consistently blows me away with both their commitment to sound engineering, and their beautiful, ghostly vocals — and The Range. 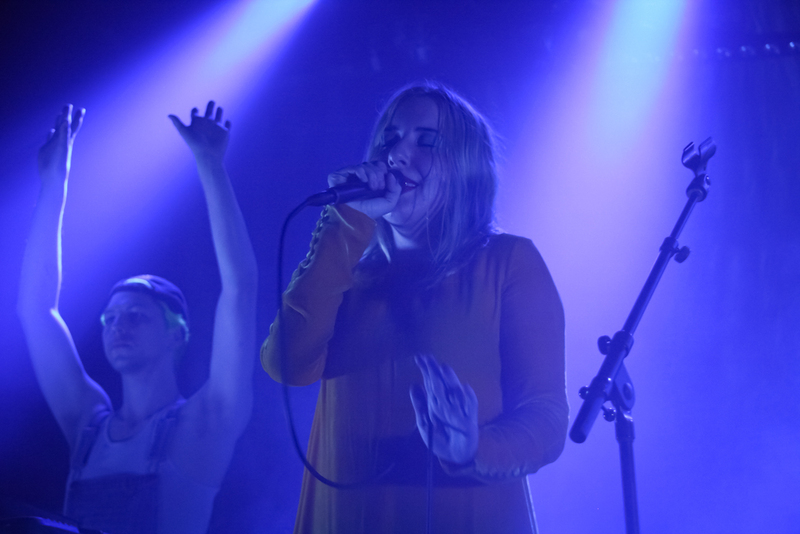 The Range, a new artist for me, put on a difficult and sometimes confusing performance, featuring many tracks from their latest album, Potential. Potential exclusively uses the voices of YouTubers, and while the Potential site, documentary, and album trailer all provide context for, biographical information about, and credit to the YouTube artists, this information was absent from The Range’s live show. 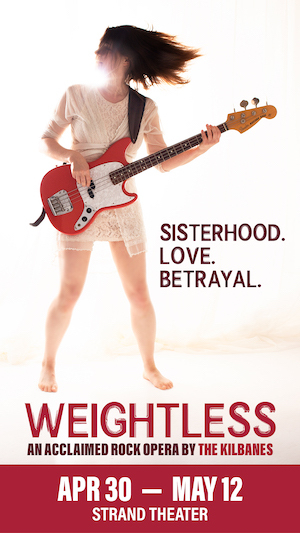 Without fully understanding the concept and methods behind Potential, I was distracted throughout the performance, concerned that The Range had used the content without compensating the original artists, thus adding to a history of undermining (mostly black) youthful creativity by mining it for more established (mostly white) projects. 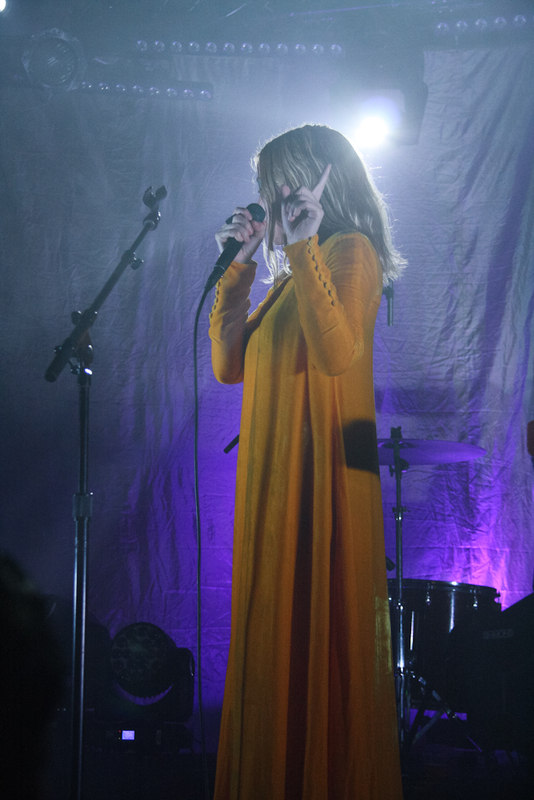 But when Austra took the stage, my distracted mood melted away. 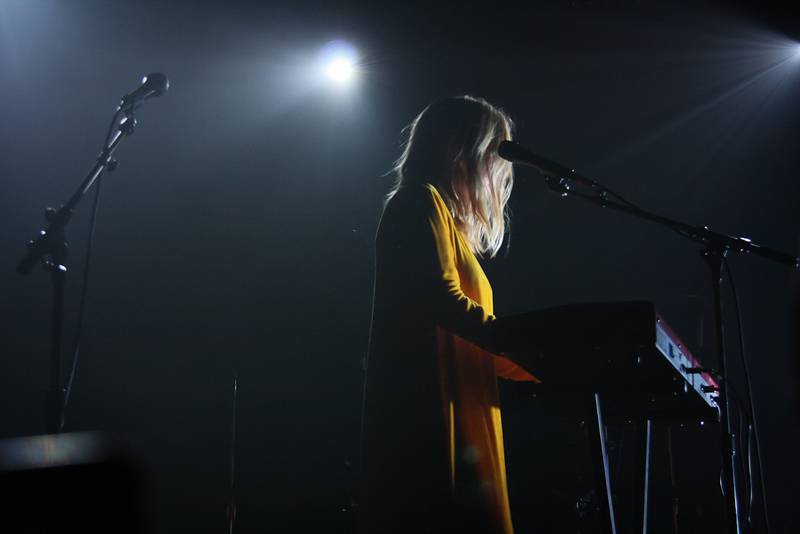 Though they play with four members, Austra’s music feels focused and precise. 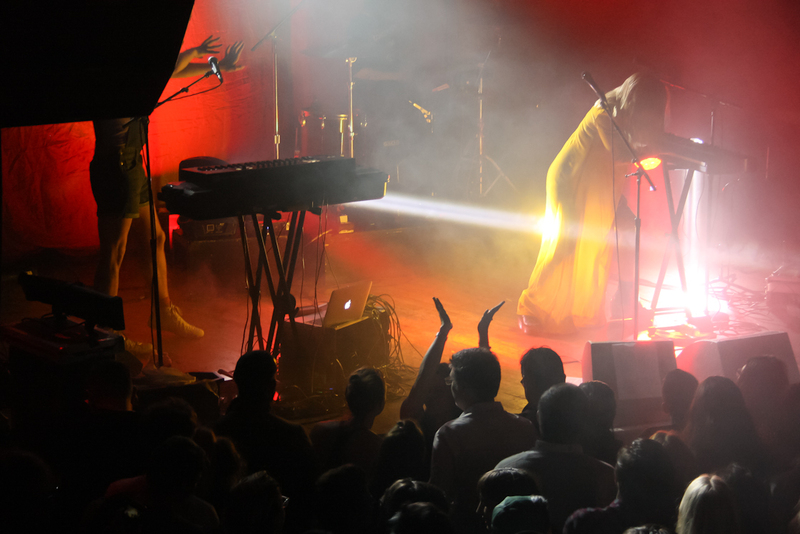 On Saturday, they played a mix of old and new: Crowd favorites like “Lose It” and “Believe Me” were met with cheers and jumps, but the crowd seemed engaged throughout newer tracks as well. 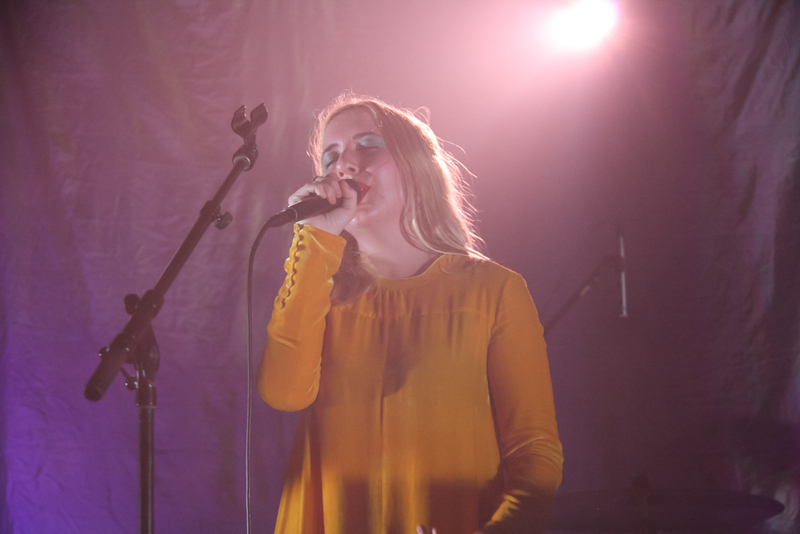 And in those newer tracks, there is much to digest: Future Politics, Austra’s latest album, has been touted as an attempt to merge the personal with political. But that merge has already occurred: In 2017, being a body in the world is inherently political; and as much as the “I” in Future Politics exists [“My work is valid, I can’t prove it but I know”], its gaze is turned outward, to the world at large, and the people who populates it. This question is relevant now more than ever. As more and more people become aware of how marginalized peoples are impacted by United States policies, more and more people rush into emotional reactions: of guilt, shock, horror, worry, or sadness. Even those who have been engaged in advocacy for years are impacted by the ramped up public response. And whether you are mobilizing now, or have been moving for some time, there is a long road ahead. These days, it feels easier to be moved to action than to be moved to learn. But we fail our own spaces when we do not locate them within the political praxis of resiliency. If art is meant to recharge and rejuvenate, as it is meant to inspire and challenge, than art spaces must foster energetic recovery by prioritizing safety for the most marginalized among us. More simply: Everybody should feel safe within an artistic venue. And more: every body should have the opportunity to feel uplifted.